Mosaic Rare cards have a shiny pattern of squares over the entire card face. This is similar to Starfoil Rare cards, except that the patterns are squares instead of stars. They are only found in Battle Pack 2: War of the Giants. One card in every pack (the wild card) is always a Mosaic Rare Card. Every card in this set is available as a Mosaic Rare. 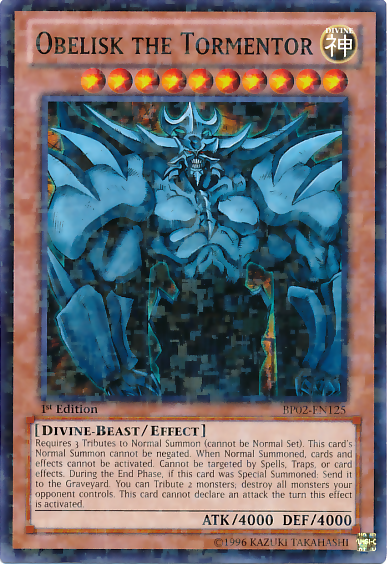 The Egyptian God cards are only available as Mosaic Rare in this pack, making them harder to pull. On the Official Card Database, this rarity is labelled as Hobby Rare. This page was last edited on 22 July 2018, at 14:54.